INCUBATE was founded by University of Sydney Union (USU) in 2012. In 2016 The University of Sydney partnered with the USU to provide a million dollars in funding over the five years to increase the opportunities for entrepreneurs in the university community. This includes the development of pre-accelerator programs, increased places in the INCUBATE 14-week program and additional workshops and events. 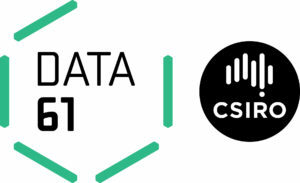 Data 61, was one of INCUBATE’s first supporters. They turn big, complex data sets into knowledge. Amazon Web Services (AWS) provides support to the program and to the startups, with each team being provided with $5,000 AWS credits, allowing them to build the foundations of their businesses professionally right from the start. Cicada Innovations generously provides three months of free co-working space for INCUBATE Startups when they graduate the program. At Cicada the startups are able to develop in a high-performance, advanced environment with access to industry experts. Members of the Cicada Innovations team, including CEO Petra Andren, regularly join INCUBATE as Company Advisers and provide mentoring. Hall Chadwick Partner David Kenney works with startups through to multi-million dollar businesses, exits and IPO’s. With his expertise in business planning and forward thinking tax advice he coaches the startups to establish better business outcomes. In addition, Hall Chadwick generously sponsors and hosts networking events for INCUBATE at their CBD location, enabling our teams to connect with our mentor network.